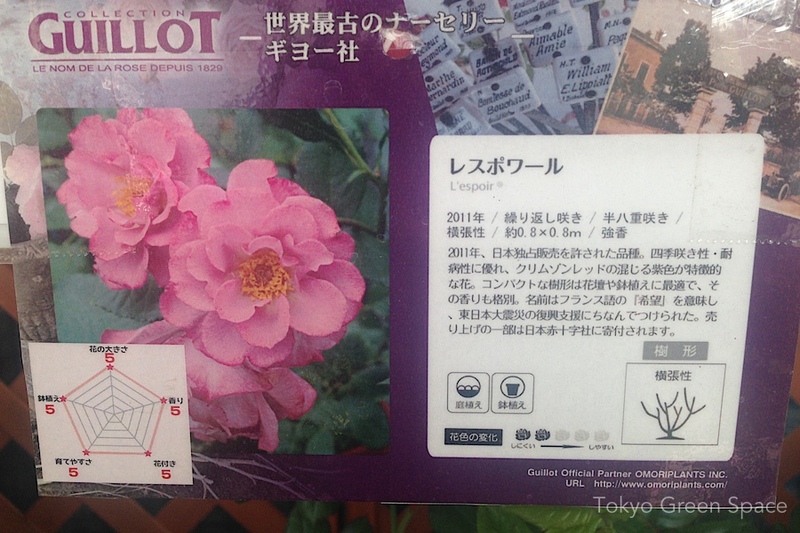 In May, I went to the “home center” (Nakano Shimachu) and bought the most expensive rose (about US$ 30). 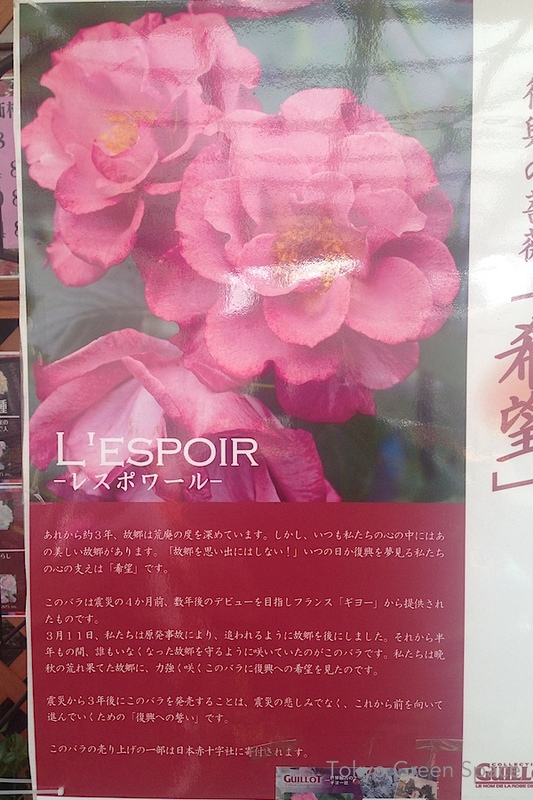 It’s name is L’Espoir, or Hope. It scores a perfect 5 in every attribute: grows well in pots, size of flower, scent, bloom frequency, and ease of growing. It’s also dedicated to the Tohoku March 11, 2011 earthquake and tsunami disaster. I am generally skeptical of industrial gardening, but I gave Hope a try. It turned out great on the 10th floor balcony. It may not have grown that tall, but it required no pesticide and bloomed often. I love the scent. To me, scent is essential in roses. I had a great time visiting the monthly San Francisco Botanic Garden’s plant sale, run by volunteers for fundraising. There are always very unique plants and lots of expert advice. Compared to commercial sellers, the plants have all been tested and cultivated locally, and the prices are very good. I filled a cardboard box with 12 small plants that cost $65, and hauled it home on the MUNI train. 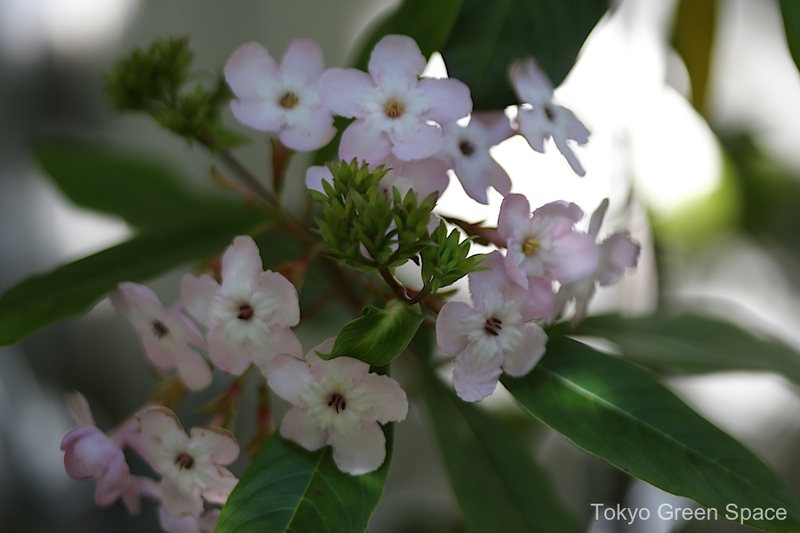 Below is a luculia bush, which was flowering exuberantly when purchased. It’s my third. They grow easily, and the scent is lovely. I’ve posted the photographs and slides from my recent talk at Shibaura House‘s Community Herb Garden event. My purpose was to encourage city residents to plant herbs because they are easy to grow and have many uses (culinary, cocktails, tea, scent, butterfly attractors). On a cold overcast day, these white plum blossoms provide a thick sweet fragrance. It reminded me of narcissus and early spring, although we’re still in mid-winter. Honeysuckle is such a sweet, if sometimes rampant vine. It’s not so common in Tokyo. When I smelled this one, I stopped my bike for a few minutes along the Kanda river. Using balcony plants, I created this small arrangement in a ceramic vase I made at Shiho. This pink rose has a good scent, and i added rosemary for additional scent and its mix of hard needles and curvy stems. My mint is suddenly full of purple flowers. And in the late afternoon sunlight, the leaves turn gold and red. It’s a fall moment. I love having herbs on my city balcony: for cooking, for scent, and for variety. Mint is ridiculously easy to grow, and I hope the seeds travel and plant themselves somewhere nearby. Spurred by the energy crisis post-Fukushima, there’s been a notable increase in the number of mid-rise office and retail buildings with green walls. In an over-built city, vertical surfaces are the largest potential area for gardening, farming, and habitat creation. Tokyo has far more vertical surfaces than roof areas, and we are only at the very beginning of creating an urban forest. 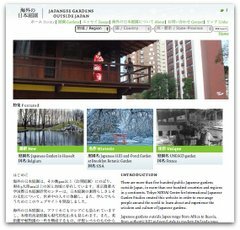 I have been following this topic for a while, and have watched this idea spread from notable public spaces like Suginami’s ward office (world’s largest green curtain) to apartment balconies, flower shops, and now commercial and retail spaces. This wide distribution across Tokyo and across building types is very exciting to see. What types of plants can be grown vertically and for what functions: aesthetics, habitat, scent, seasonal change, food? How can green walls enhance innovative architecture and place-making? How can vertical and roof gardens connect buildings, neighbors, and wildlife? What is the impact on heat island effect, global competitiveness, and quality of life? 2. Office mid-rise in Shinjuku Gyoen-mae (2 photos). The company that created and maintains this green wall is called Ishikatsu Exterior (石勝イクステリア). 3. Oimachi retail building near station. Our balcony jasmine just started blooming this weekend. It’s early, isn’t it? The balcony is already filling up with this sweet scent. This potted jasmine is growing behind the washing machine and up onto the net that will again support our summer green curtain. It hardly went dormant in the winter. I planted this jasmine last year in a fairly small pot. While I thought it might bloom last year, it never did. 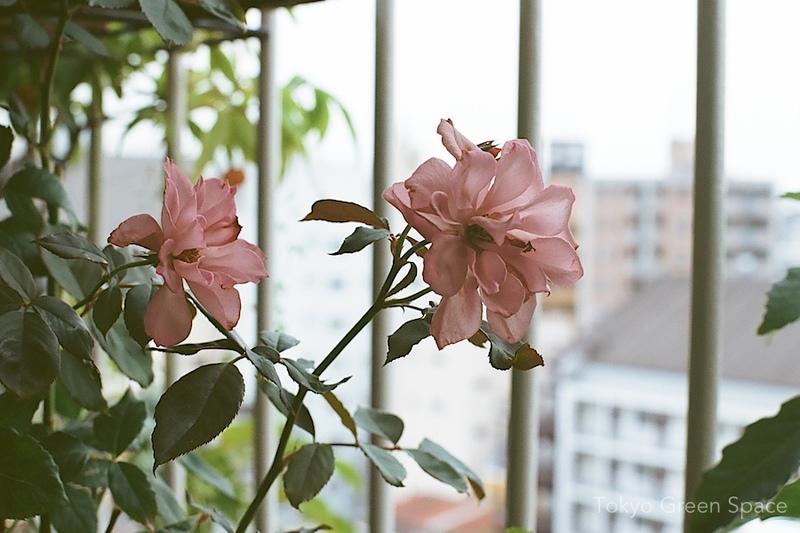 It can be hard to know how long to wait when a plant doesn’t grow well at first, especially if you have a limited space like an apartment balcony. This time, I am glad I was patient. Two weeks after the earthquake-tsunami-nuclear crisis, I looked at the thick roots growing at the base of the mint cuttings, and wondered what to do. I waited several days. The first week, the Fukushima nuclear plant’s reactors, 220 kilometers to the north, had a series of spectacular hydrogen explosions. The second week the reactors assumed the role of toxic volcanoes, venting and spraying. The third week, we mostly hear about leakage and contamination into the land and sea. In the second week, fearful of the rain, I harvested all of my snap and snow peas. In retrospect, this seems unduly cautious. Until now there’s been no evidence of dangerous radiation levels in Tokyo, so I finally decided to plant the mint in the balcony garden. I considered making one giant clump, but then decided it might be more fun and more fragrant to spread it around the length of the garden. Since it’s a small garden, I need to combine ornament, scent and function. Wondering if I should make mint tea, or mojitos when they bush out? realized that the mint cuttings were getting thick with roots sitting in the glass of water in the kitchen. Everywhere I walk in Tokyo, I notice the incredible scent of Winter Daphne (daphne odora, or ジンチョウゲ). Beginning in late February, between plum and cherry blossom seasons, this compact bush with glossy leaves produces hundreds and thousands of red flower buds that open pink and release a mesmerizing scent. It must be easy to grow since I’ve seen it planted in front of offices and houses. The photo above is from the new Nakano Marui department store, which has created a very lovely garden and mid-block pathway that I will write about soon. It’s the second day of the new year. I am enjoying the blue sky and the realization that there is so much winter gardening that you can do on a Tokyo balcony. This lavender continues to bloom under the clothes rack. I can enjoy the beautiful color from my kitchen desk, and my clothes can brush up against the scented leaves as they dry. Tokyo has a special feeling during the first days of the year, when many residents are still celebrating the holiday with their families outside the mega-city. In this quiet time, I wonder about covering a Tokyo building with lavender plants, or creating small lavender city farms on a scale large enough to allow Tokyoites and international visitors to bring lavender gifts home to their families. Leaving an inspiring talk in Nishi Azabu-Juban yesterday evening, the intoxicating scent of Angel’s Trumpet made me pause. And take a photo. Brugmansia is also very common in San Francisco (and many continents including New Zealand), although it comes originally from South America. It produces an incredible scent, but only at night. 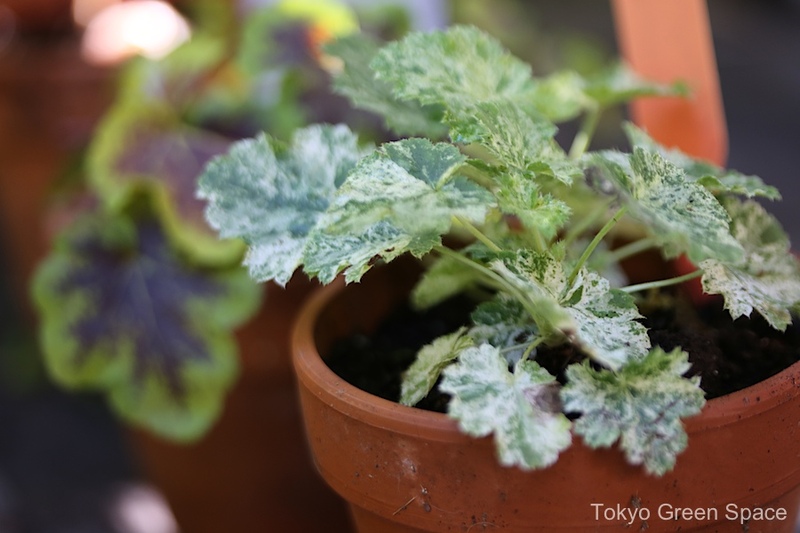 In Tokyo, the summer heat seems to overwhelm the plant. By fall, this hardy large shrub/small tree grows to three or four meters in height, and flowers continuously until winter frost makes them die back. By May they begin to shoot up from the ground. Angel’s Trumpet, sometimes also called Devil’s Trumpet, is a strangely familiar plant: hardy and decorative, with a shamanistic function in its native Amazon habitat. The Saipan lemon tree I planted on my balcony last year is full of blowers: what a great scent, and hope for future lemons. I have been doing a lot of gardening now that the weather has gotten warmer: planting seedlings, buying vegetable starters, trying out a new coconut husk soil, purchasing a few large flowers and shrubs, and generally filling up the balcony with plants, flowers, and dreams. I’ll be posting more photos soon. 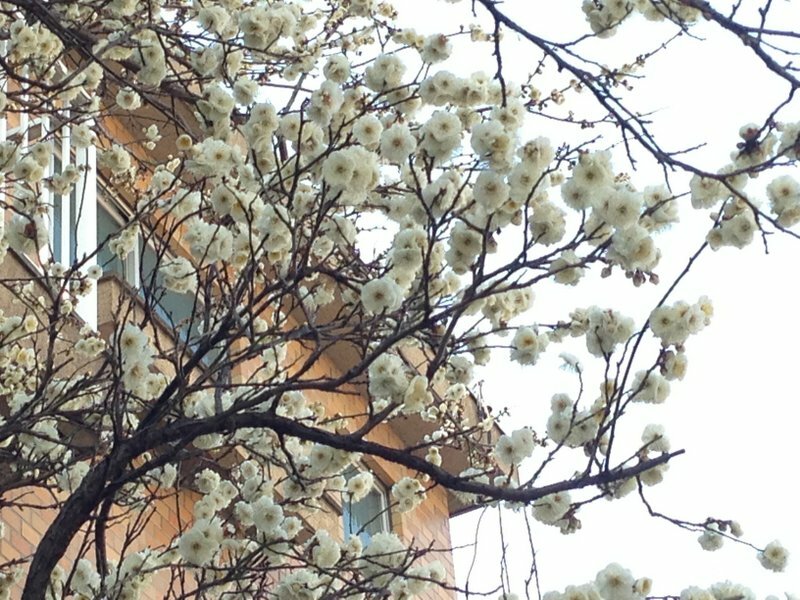 Walking home last week, first we smelled and then saw this beautiful magnolia tree. In the dark, the petals looked pink, but when I returned the next afternoon I saw they are bright white. This tree is growing at the end of a gravel parking lot in Nakano, in the foot or so of property behind the house. This tight space shows how even the smallest horizontal space can support a substantial tree, with seasonal color and scent. Lovely.